For Whom Is Bioprocessing Capacity Scarce? ISR data, collected for the purpose of improving our understanding of the much-anticipated bioprocessing capacity crunch, reveals that it is not a matter of if or when a capacity crunch will impact the biopharmaceutical industry; instead, it’s a question of who, or which types of drug innovators, will be impacted. If you haven’t been following Chief Editor Louis Garguilo’s and my ongoing back-and-forth about bioprocessing capacity (you can catch up here and here), I’ll quickly loop you in. The conversation started when Louis posed a few questions about findings in Industry Standard Research’s Bioprocessing Market Trends and Outsourcing Dynamics: 2018-2023 report. 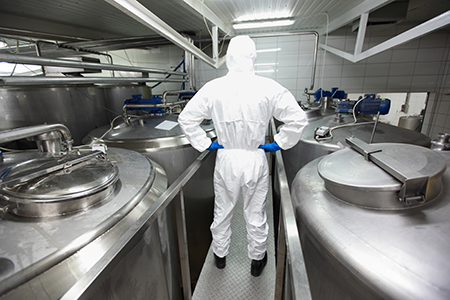 He observed that a very small portion of respondents to this study—all active outsourcers of biologic drug substance manufacturing—mentioned capacity when providing details about their outsourcing preferences and practices. Louis theorized that if a lack of capacity was top of mind and pressing, it would have appeared in the responses more frequently. As a researcher, I cautioned against using data from questions about CMO preference and the reasons CMOs lose bids to support the notion that the much talked about looming capacity shortage was just a false alarm. Instead, I suggested that ISR ask outsourcers of biologic API about capacity directly and see what comes back. The questions, included in ISR’s Biologic API Contract Manufacturer Quality Benchmarking survey, are as follows: (1) Are you/is your company concerned that there won’t be sufficient available bioprocessing capacity to meet your outsourced manufacturing needs? (2) When do you anticipate the lack of available bioprocessing capacity will impact your organization? (3) Has a lack of available capacity influenced your company’s use of CMOs? (4) How has a lack of available capacity influenced your use of CMOs? The results, based on responses from 131 participants, were surprising: 40 percent said their company has no capacity concerns, and another 37 percent said maybe they have concerns. And to the second question about when their company might be impacted by a capacity shortage, one-third said it is unlikely to impact their organization at all. Both Louis and I agree this data supports the idea that a bioprocessing capacity crunch has not yet and may never materialize in the way the industry imagined. So, while Louis’ stance has been confirmed, there is a segment of the respondent group that is concerned, and the bioprocessing capacity shortage is currently impacting their organizations. Who are these people? Let’s dig in and find out. When we take a closer look at the people who reported their company is currently being impacted by a shortage of available capacity, which was 13 percent of the total respondent group, we see a different distribution, both company-wise and geographically. One-third of this subset of respondents work for large pharma companies and one-quarter work for large biotechs—so, again, we’re seeing respondents from large companies accounting for the majority of those who are currently impacted by a bioprocessing capacity shortage. However, when it comes to actual impact, there is no longer a geographic lean toward North America. Similar proportions of respondents in North America and Europe (47 percent vs. 41 percent) confirmed current impact. Lastly, we investigated how the lack of available capacity is affecting the group and found the most frequently reported outcome is a delay in delivery or (presumably when there is some advance warning from the CMO) that the timeline needs to be extended. Having to use a CMO that is not one’s first choice, having to change CMOs mid-project, and having to qualify additional or backup CMOs are the common workarounds mentioned, but not necessarily the most insightful advice to fellow outsourcers who are in the same boat. Further combing through the open-ended comments revealed some guidance we’d like to pass along to industry peers who are experiencing or anticipating a capacity crunch in their future, as these techniques provided some relief for our respondents. They advise: Use predictive simulation to better understand market need and plant capacity, increase demand planning and strategic planning with CMOs, and consider signing forward contracts with manufacturers. Kate Hammeke is VP of market research at Industry Standard Research (ISR). She has 15+ years of experience collecting, organizing, and analyzing complex data. Her specialties include: research strategy and design, qualitative/quantitative, strategic partnering, pharmaceuticals, technical writing, and actionable insights. Hammeke has developed and coordinated custom research projects for more than 30 major brands in the Fortune 500, and she has written dozens of articles related to pharmaceutical outsourcing for multiple industry magazines.